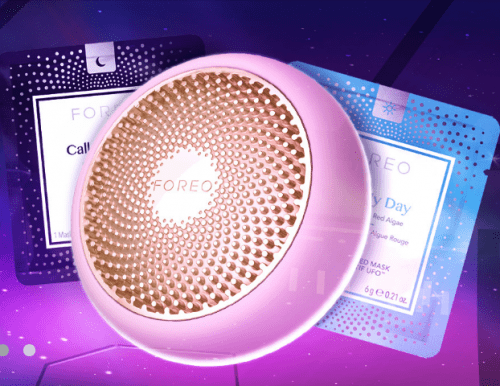 Pamper yourself with the skin and oral care products from the FOREO Canada Valentine’s Day Sale. Shop online today and save 20% off full-price LUNA 2, ESPADA and IRIS. Use the promo code FALLINLOVE at checkout to receive your discount. In addition, save up to 34% off gift sets. These deals are valid until Thursday, February 15, 2018. This FOREO Dream Team Gift Set is on sale for only $108 (originally $163) with the up to 34% off gift sets deal. You save $55! With a classic ISSA and LUNA play combo (plus DAY and NIGHT Cleansers) on your side, you’ll achieve clearer skin and brighter smiles to set you apart this season. FOREO’s shipping fees vary depending on your location.